players on your server. Multiplayer games have become increasingly sophisticated over the last ten years, not only in their gameplay and tactics, but in the sheer abundance of weaponry, item and class unlocks built into the leveling progression that has become a popular feature in today’s online shooters. Bad Company 2 is no different. It’s data tracking maps not only the basics of kills and time played, but your scores in each of the different classes, the varying weaponry and class-specific kit you have unlocked during your play time, and how these all contribute to your overall position in the BC2 universe, vital information as you seek to rank up quickly in Bad Company 2. Accessing these Battlefield Bad Company 2 stats can be a little bewildering from the in-game interface, with multiple menus and pages of information to wade through, but fortunately EA’s information is accessible from a variety of sites online so that you can take time out, open your web browser and see how you compare on the global Bad Company 2 leaderboard. 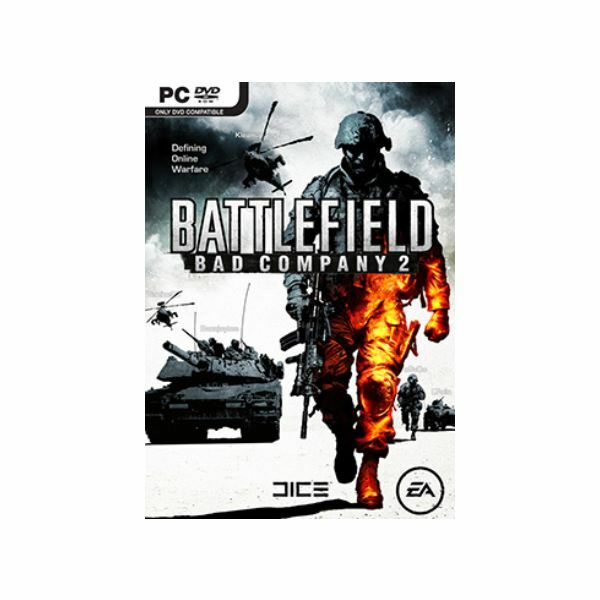 EA’s own Bad Company 2 website allows you to input your soldier name from the Xbox 360, PS3 and PC versions of the game and view collected statistics on your playtime, as well as study the global gameplay stats and international leaderboards for BC2. However, the presentation of your personal statistics suffers from similar flaws to the in-game user interface, spreading the information out over several tabs. Also, for unknown reasons, EA’s own page can lag quite badly in displaying the latest stats or even finding your soldier at all. For this reason, it can be worthwhile checking out some other online options. Stats Verse is one of the leading purveyors of online statistics for multiplayer shooters, and pool information for Battlefield games going back to Battlefield 2, and even the free-to-play browser version, Battlefield Heroes. 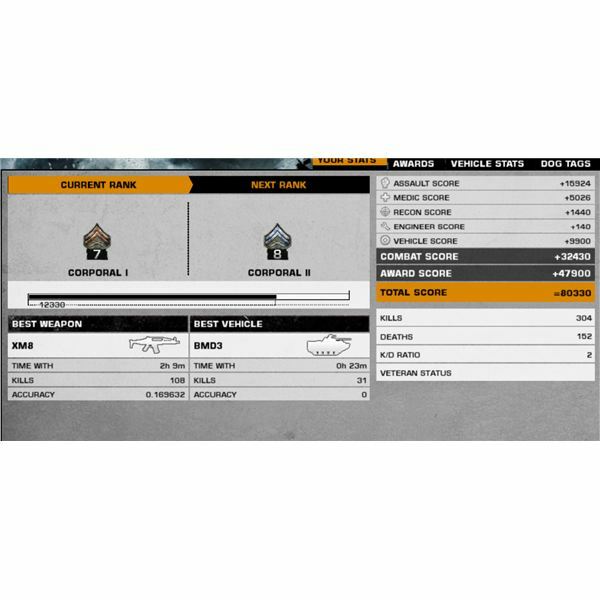 Clicking on "Bad Company 2", entering your soldier name and platform will quickly pull up all your vital statistics, and the layout is much improved from EA’s own site. Especially useful is the breakdown of your stats for each class at the bottom of your profile, including what weapons and gadgets you’ve already unlocked and how much progress you require to your next unlock. The Battlefield Bad Company Stats website provides a similar service, and also allows you to create player bookmarks to check your friends’ current statistics with ease. Stats Verse also has a service that can create an updating graphic forum signature, useful for displaying your gaming prowess on any of the many dedicated Bad Company 2 forums. Beware though, there will always be someone whose stats dwarf even yours! BC2 is one of those shooters whose minutiae can prove endlessly fascinating, and finding the most enjoyable way to wade through the mass of Battlefield Bad Company 2 stats that the game collects while you play can help enhance not only your enjoyment of your triumphs, but also give you an insight into your Bad Company 2 strengths as well as weaknesses. For more BC2 insights, don’t forget to check out Bright Hub’s collection of Battlefield Bad Company tips and tricks.